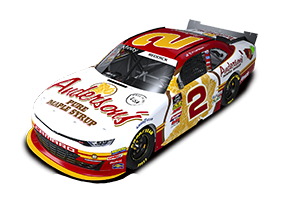 For the final time in 2012, Anderson's Maple Syrup was the primary sponsor of JDM's Chevy Silverado, driven by Ron Hornaday, for the Lucas Oil 150 at the Phoenix International Raceway on Friday, November 9th. The race was broadcast live on SPEED. After qualifying the 10th position, Hornaday had a fast truck to start the race, but eventually spent several laps in the garage after getting involved in a wreck. He was, however, able to make it back on the track, and ended up finishing 38 laps down, in the 22nd position.